Today was our monthly KARE (Kemper Art Reaches Everyone) program at the Mildred Lane Kemper Art Museum, a part of the Sam Fox School of Design & Visual Arts at Washington University in St. Louis. More later about the today’s program and our special guests from Laclede Groves Memory Care. 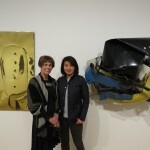 Now, I want to share with you my joy in getting to meet Dongmin Wang and introduce her to the Kemper and KARE. Dongmin is the visiting Scholar at the Harvey A. Friedman Center for Aging at Washington University. She is currently a PhD student in the Institute of Population Research at Peking University in Beijing, China. As a lecturer in the Department of Physical Education at Peking University, she mainly teaches Tai Chi courses as well as Fencing. She is in St. Louis for one year to work on her dissertation. Her research interests are in physical activity and healthy aging, particularly as they relate to older adults in China. In recent years, Dongmin was part of a Chinese older adults longitudinal study and a Chinese older adults exercise study and found that interventions to promote physical activity are a challenge in China. So she decided to focus her research on Chinese older adults’ physical activity. She is also working on two national projects related to sports and health. While here, Dongmin is volunteering her time to teach Tai Chi to people who attend groups at the Alzheimer’s Association. “Les artistes mit Gemüse (Artists with Vegetable)” 1943, also in the Kemper’s permanent collection. 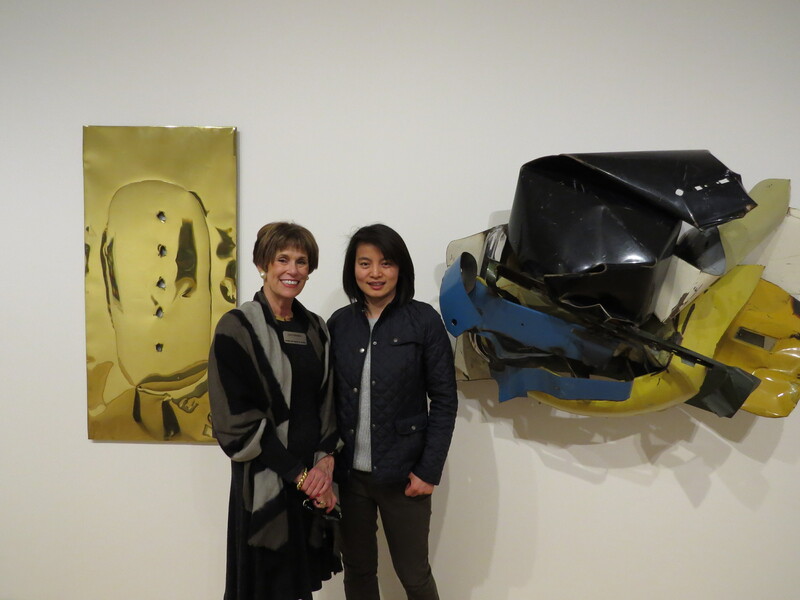 Here I am “posing” with Dongmin next to the Chamberlain and a Fontana. Dongmin & Lynn in good company between a Chamberlain and Fontana!